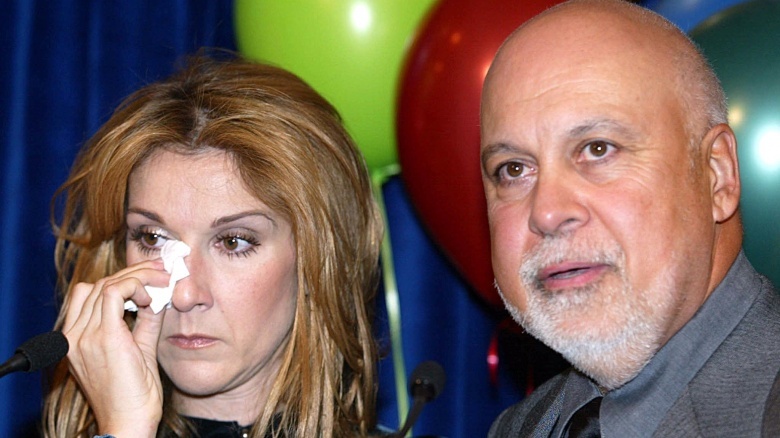 Celine Dion's husband, René Angélil, died January 14, 2016, after a long battle with cancer. Angélil's death marked the end of one of Hollywood's most enduring relationships, which began way back in 1980 when Dion was just a petite singer in Canada. In honor of Angélil's legacy, we're revealing some facts about the popular couple you may not have known about. 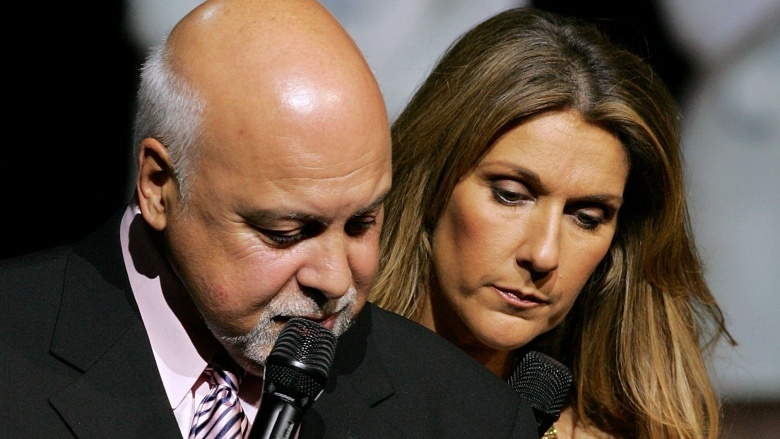 Celine Dion's relationship to her late husband dates back to when she was just 12 years old. At the time, Dion and her family had sent a recording of her first song, "Ce n'était qu'un rêve" ("It Was Only But a Dream"), to Angélil, who was a successful producer in Canada. After hearing the recording, Angélil brought Dion in to sing for him in person. The rest, of course, is history. "We've been working together since that time," Dion said in 1995. Angélil—who mortgaged his own home to launch Dion's career—managed his future wife for about five years before they started developing feelings for one another. "Maybe at 17, 18 years old, my feelings started to change for him," Dion told Access Hollywood in 2013. "I kind of saw him differently." They began dating when Dion was 19. Angélil, meanwhile, was 45. Dion and Angélil kept their relationship—and eventual engagement in 1991—a secret from the public for a stunning five years. "I was afraid of what people would think," Angélil told People magazine in 1994. Ultimately, it was Dion who pushed to reveal their secret once and for all. "When you're in love, you want to scream it to the world," she said. 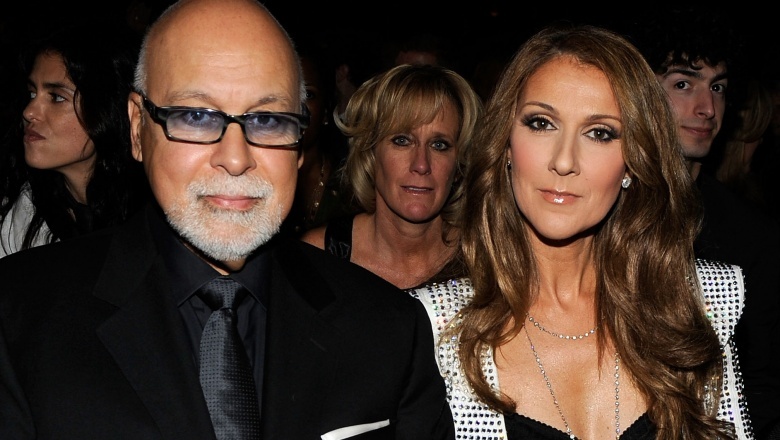 Their relationship officially became public in 1994 thanks to a message written in the liner notes of Dion's multi-platinum CD, The Colour of My Love. They were married on December 17 of that year. 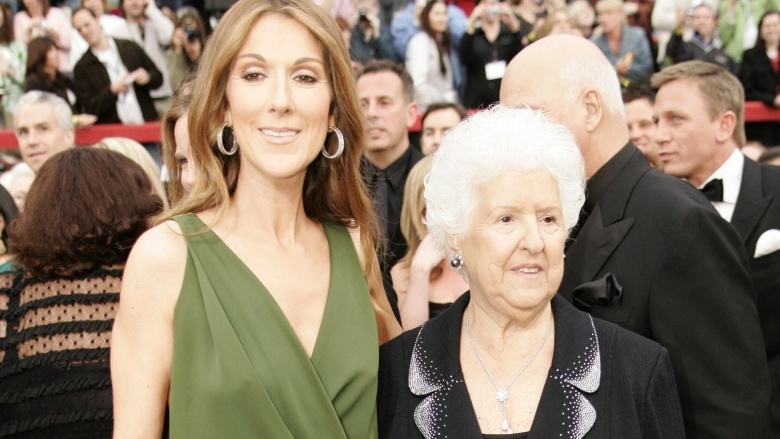 In 2013, Dion admitted that her mother, now 88, was initially opposed to her relationship with Angélil, due in main part to his past relationships. "It was very difficult for her," Dion told Access Hollywood. "When I told her I had some really strong feelings for René she tried everything to kill him and make me snap out of it. I was very frustrated and mad at first but she tried to make me understand that this man tried marriage twice before, he has three children, he's not responsible … I want the perfect Prince Charming for you." Ultimately, Dion said that over time, her entire family fell in love with Angélil. By then, her mother "had no choice" but to accept their relationship. When Dion and Angélil married on December 17, 1994, at the Notre-Dame Basilica in Montreal, one might have assumed that the couple was a member of the royal family. That's because their extravagant wedding was, among other things, televised on Canadian national television. According to Dion's official website, the silk gown that Dion wore—which was designed by Mirella and Steve Gentile—took over 1,000 hours to make, and featured a massive train that was 20 feet long. She also apparently wore a 20-pound tiara, which is just as ridiculous as it sounds. Of the many homes that Dion and Angélil owned together, none was quite as extravagant as their property in Jupiter, Florida. In 2014, the lavish mansion went on the market for a whopping $72 million. Included in the price tag: three pools, a simulated golf course, and an actual water park, according to Zillow. Because, when you've made as much money as Dion has, why wouldn't you own a water park? 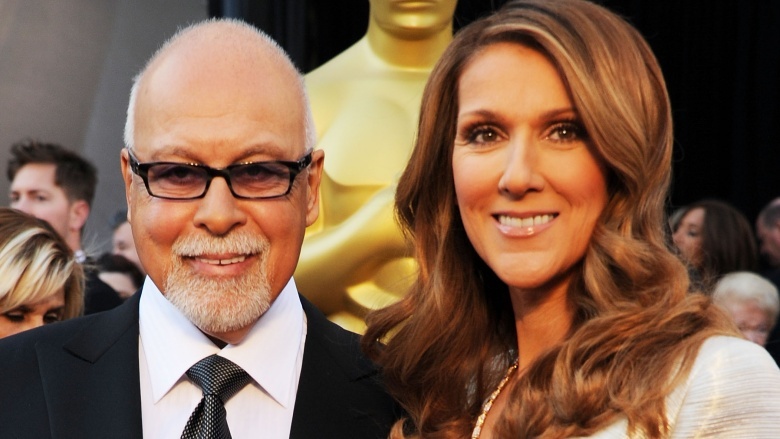 Rene convinced Celine to sing "My Heart Will Go On"
"My Heart Will Go On," the Oscar-winning song from the 1997 blockbuster Titanic, remains arguably the most famous and successful song of Dion's 20-plus-year career. But if it wasn't for her husband, she might not have recorded it all. 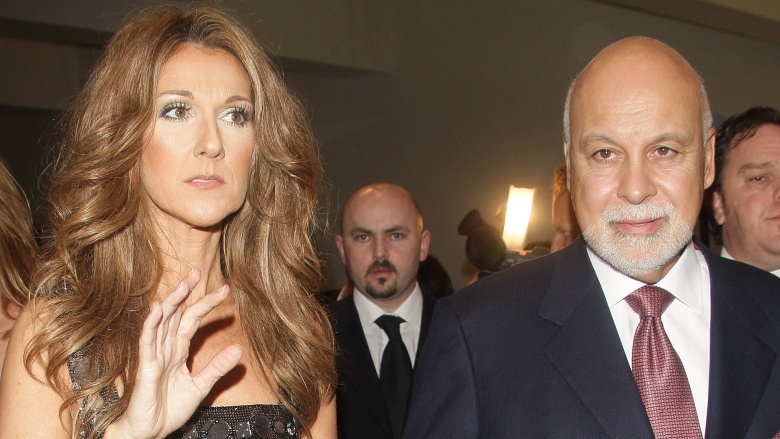 "I didn't want to sing 'My Heart Will Go On' … " Dion revealed in 2013 on The Jonathan Ross Show. " … I didn't really like the song, at first. I wasn't sure. I did another song for a movie before. It was very successful, and I thought we were pushing our luck … [Angélil ultimately] said, 'Let's just do a demo. Let's give it a try and we'll see after.'" The demo is actual the real recording. I never sang the song again." Now, that was a smart husband. In 2002, Angélil was sued by Yun Kyeong Sung Kwon, who claimed she was sexually assaulted by Angélil during an alleged incident at the Imperial Palace in Las Vegas. Angélil vehemently denied Kwon's claims. Which was smart, because the whole thing turned out to be part of a wacky extortion plot concocted by Kwon and her husband, Ae Ho Kwon. Yun Kyeong Sung was sentenced to a minimum of 28 months in prison in 2004 on charges of extortion, conspiring to commit extortion and as a witness soliciting a bribe; her husband was convicted on charges of conspiracy, extortion, and soliciting a bribe only a few months later, and received a similar sentence. Dion and Angélil struggled to get pregnant throughout their marriage. 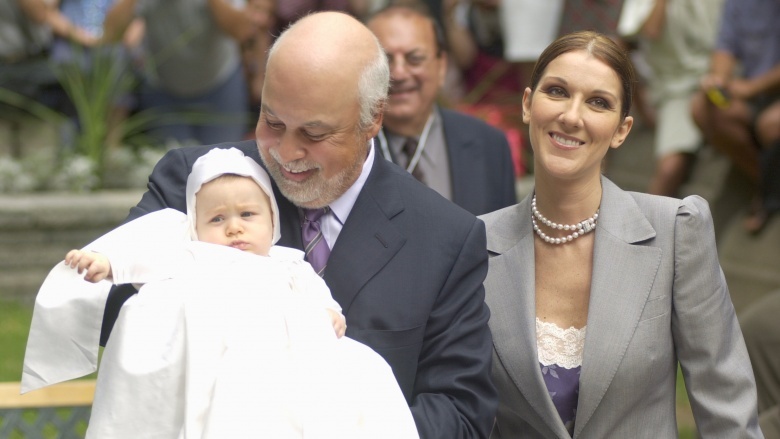 They conceived their first child, son René-Charles, with the help of in-vitro fertilization. The couple conceived again in 2010 but lost the baby to a miscarriage. "It's life, you know?" Dion told Oprah Winfrey in 2010. "A lot of people go through this. We tried four times to have a child. We're still trying. We're on the fifth try, and I'll tell you, if five is my lucky number, this fifth try has got to come in." The couple finally conceived twin boys, Eddy and Nelson, via IVF less than one year after Dion's miscarriage. They were born October 23, 2010. Angélil's fluctuating health was an issue for a good portion of their marriage. He was first diagnosed with throat cancer in 1999. 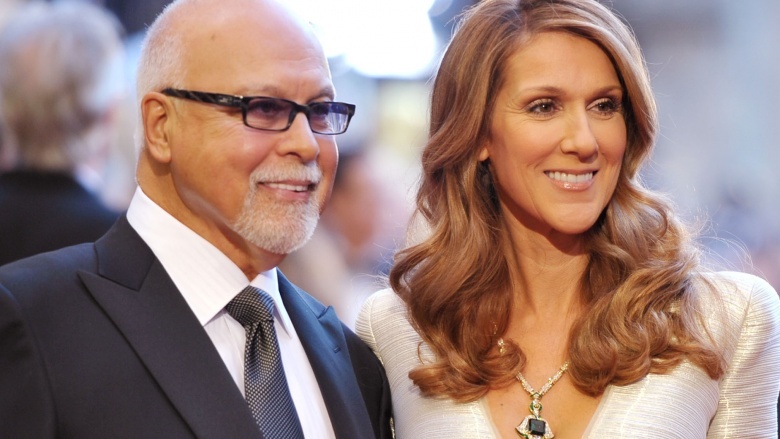 In response to the disease, Dion took a full two years off from her career to take care of her ailing husband. In 2014, Dion postponed her Las Vegas residency and canceled her Asian tour indefinitely after Angélil's cancer had returned. "I want to devote every ounce of my strength and energy to my husband's healing, and to do so, it's important for me to dedicate this time to him and to our children," she said in a statement at the time. In 2015, Dion told Good Morning America that Angélil's health had gotten so bad, she had to feed him herself three times a day. "He can't use his mouth, he can't eat, so I feed him," Dion said. "He's got a feeding tube. I have to feed him three times a day." Speaking to Robin Leach for Vegas Deluxe in 2013, Dion revealed that her 20-plus-year marriage to Angélil wasn't always paved in gold. "René and I had our tough times," she admitted. "It wasn't always easy. We had tension between us. It's never easy being husband and wife, but add to that we are in business together, dealing with all the added pressures of shows, concerts, tours, traveling. It was hard—a lot of hard work." Ultimately, their marriage was saved thanks to a friend of Dion's, who gave the "Because You Loved Me" singer some much-needed advice in 2006. "She taught me how to say things the right way…" Dion said, "…about the real meaning of communication, the right way to communicate."